On October 14, in Logan, Utah, transwoman Ashley Hallstrom stepped into traffic to end her pain. Ours, conversely, only worsened. It was Ashley's last request, as posted on her Facebook page and included below, that her words be shared. So I am. I do, however, want to respectfully make a point of distinction. Ashley wrote that the reason she was about to commit suicide was because she was transgender. I would bet my own happiness (perhaps my most treasured and hard-fought possession) that it wasn't her gender identity that caused her pain, but rather society's attitudes about gender exceptional people that left her feeling unable to live another day. I think her death is on us, not science. And while the weight of that is nearly crushing, it means change is within our control, and won't just be happenstance. Next month is Trans Awareness Month, which provides us all the opportunity to learn more, understand more and do more to create a world that is a better option than death. But we've got some serious work to do, because, as the 2011 study conducted by the National LGBTQ Task Force and the National Center for Transgender Equality called "Injustice at Every Turn" found, nearly half (41 percent) of trans* people have attempted suicide compared to 1.6 percent of the general population. Why? Perhaps because of the rampant discrimination in employment, housing, education, access to healthcare, economic security, etc., and the insanely high rates of violence, homelessness and lack of familial acceptance. This cannot remain the status quo, and it will take all of us to make real and significant change. Be informed, be kind and be loud. None of us has to everything, but all of us have to do something. These are going to be my final words. I can't stand to live another day, so I'm committing suicide. The reason why I've decided to do this is because I'm transgender. For those of you that unsure of what that means, it means that even though I was born in a male body, I am and have always been female. I've known I was female for as far back as I can remember. This caused me to become severely depressed from a very young age. From a very young age I was told that people like me are freaks and abominations, that we are sick in the head and society hates us. This made me hate who I was. I tried so hard to be just like everyone else but this isn't something you can change. It wasn't until I was 20 that I found out I wasn't alone. I had hope that I would finally be able to live as and love who I am. 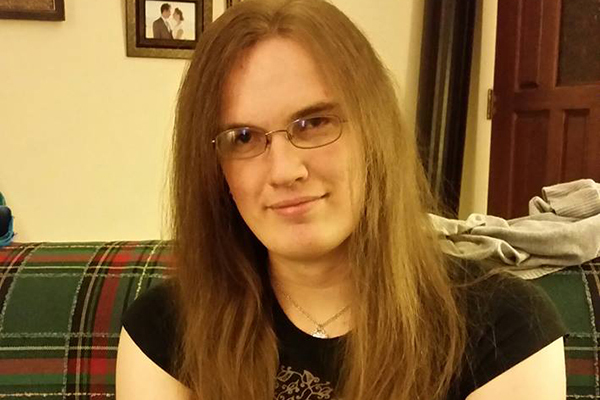 I finally came out as transgender and began transitioning. For the first time in my life I could say I was genuinely happy. Despite this huge change in my life I never completely got over the depression being trans caused me. Everywhere I'd turn I'd see the hated that society had for us. I had already been poisoned by a society that didn't understand us and, even worse, didn't want to even try. I saw the pain it caused to people like me and going though this same hurt myself it has just become to much for me to take anymore. I wanted so much to help those going though what I had to because nobody should ever have to feel that they hate their life so much that they want to end it all just so they won't have to experience another moment of this sadness. I'm not the first to feel this way and sadly I know I won't be the last. I'm writing all of this because I've need my story to be shared. I don't want to be just another number of a tragic statistic. People need to know that I'm not just another face of someone they never met. I was alive. I have a family and friends that I love very much and I'm so sorry to them for the hurt this will cause them. I loved being around those that I love. I loved listening to music and singing. I loved going out to eat with friends and enjoying good food. I was a real person. I still want to help people and I believe I still can. Please share my final words. I believe my last words can help make the change that society needs to make so that one day there will be no others like me. Please help make this change because trans people are everywhere. You may never know who you're hurting until it's too late. Please help fix society.